The car bill of sales is used by many people at different points of time for various reasons. To craft your car Bill of Sale Samples with ease, you need to know the right format for writing such documents. 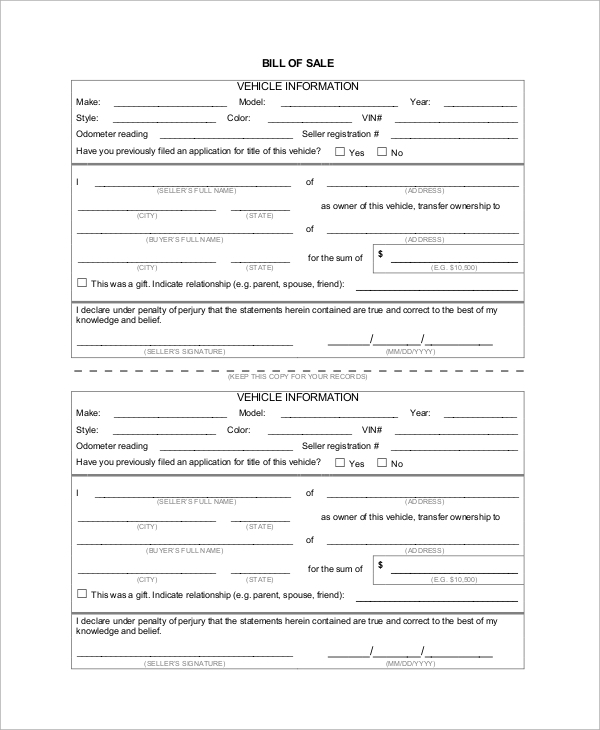 You have to be careful with formatting as this document works as a significant proof of a valid transaction of a vehicle or car. The best way of creating a car bill of sales with simplicity is by downloading the online samples. 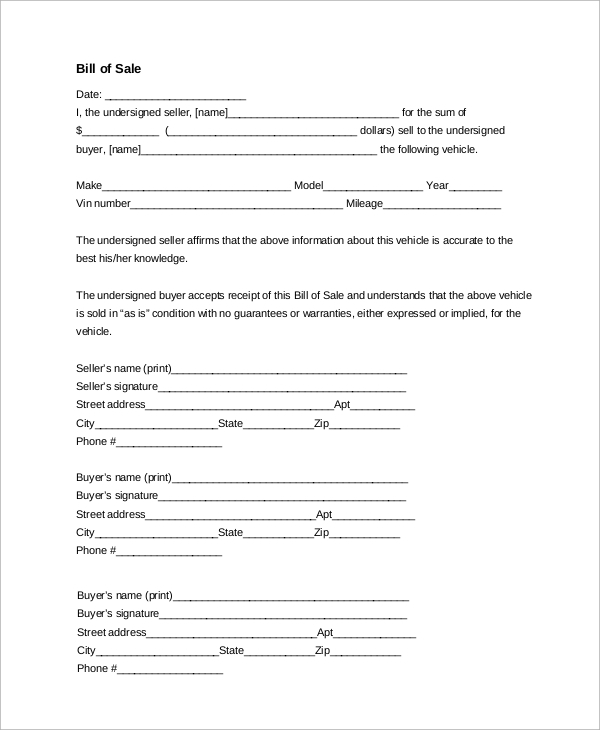 A bill of sale is a document that you need when you sell your used car to someone. Bill of sale shows the purchasing date and various other details of the car. Buyers should check these things carefully. Before purchasing a car, the buyer often demands a bill of sale from the seller. 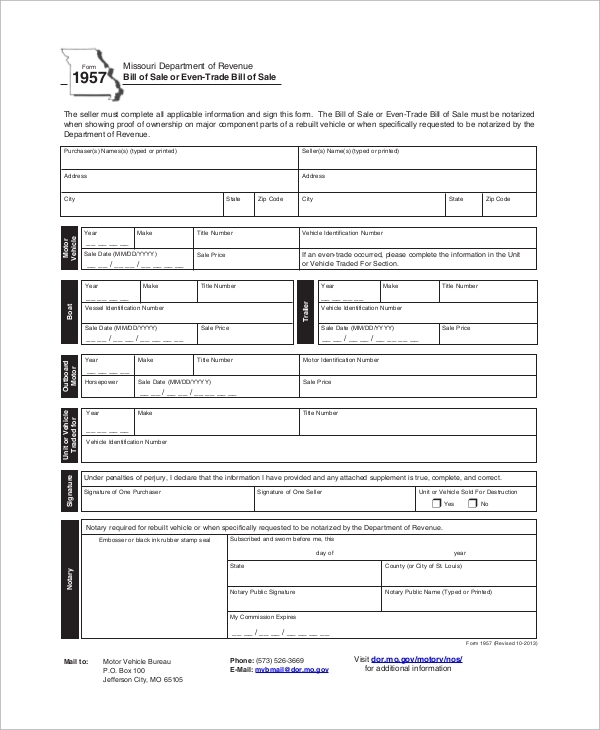 If you are a seller, you need to produce such documents to show vital information and date of purchase for the car. You can use this sample for this purpose. If you do not have a bill of sale, you will fail to sell your classic car to someone. 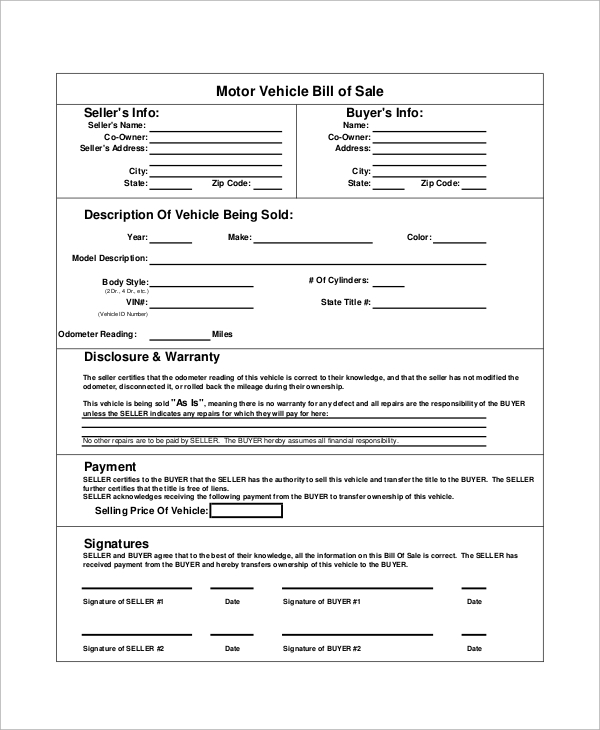 To create a bill of sale for your vehicle, you can use this online sample. Using online forms for producing a bill of sale is always effective. Creating a bill of sale is important if you are looking for a buyer to sell your car. Using this sample will make the process of creating a bill of sale easier. Creating a car bill of sale is important as it is an important document that holds the proof of sales of a car. 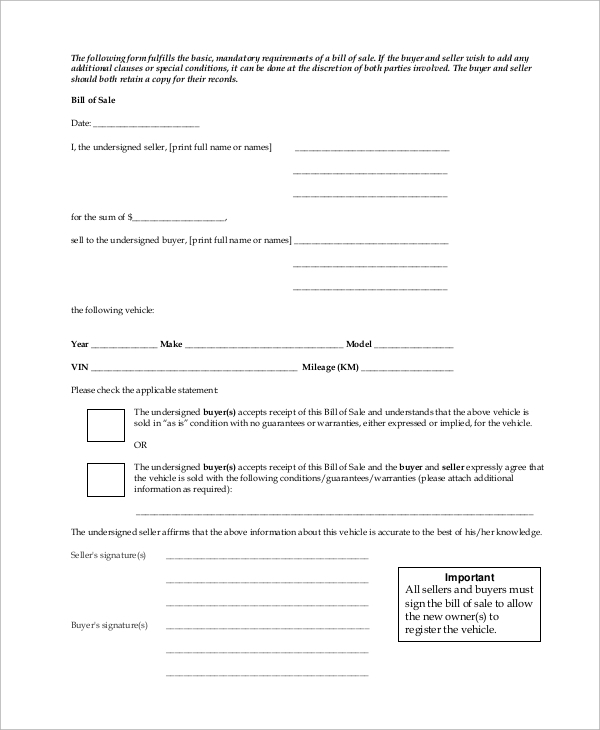 To create such a document with ease, you can download the online samples. Bill of sale is a document that needs to be created upon a valid transaction that has been made for purchasing or selling some item. Bill of sale is popularly crafted for selling cars. This document carries importance for both buyers and sellers. 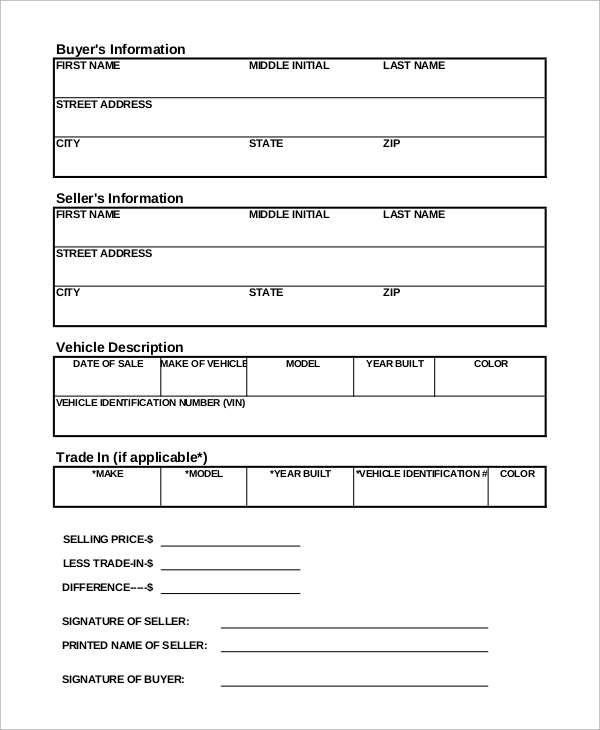 Sellers should have this document as a proof of selling the car at the agreed amount on the specific date. 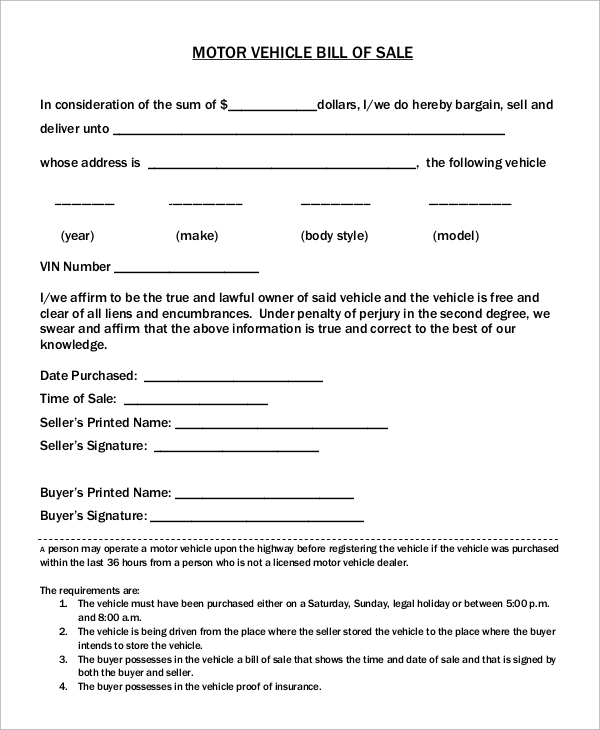 Buyer must have this document as proof of his successful financial transaction for buying the car. Bill of sale can also be used for various reasons and purposes. To create such documents, you need to find some online samples. You can also see the Auto Bill of Sale. Who Should Use The Online Car Bill Of Sale Samples? Bill of sale is a document that comes in an invoice format. 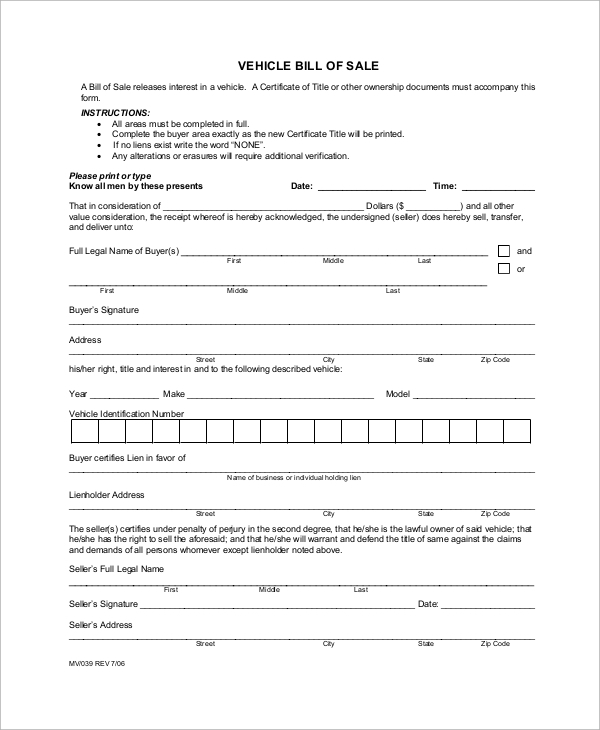 Sample Bill of Sale Form document is used for purchasing a car from a seller. Buyer should have this document as proof of financial transactions that he has made to the seller. On the other hand, the seller must have a document that proves that he has handed over the selling item to the buyer successfully. Bill of sale works as a proof in that case. Both the car buyer and the seller can download the bill of sale samples. Using samples will help to craft such documents quickly. Creating bill of sales is not simple, as it is a crucial document that features the date and amount for the transactions made on purchasing a car. For crafting a bill of sale with precision, the proper format has to be maintained. The format is like an invoice, but not entirely identical to them. Download samples to craft it perfectly.